Celebrity chef Bobby Flay and actress/mom Lori Loughlin have teamed up with Hellmann's® and Best Foods® Mayonnaise to unveil the Real Food Project on Hellmanns.com, a comprehensive online resource offering tips and ideas on how to create real meals made with Real Food. Because videos are great for multi-tasking moms, The Real Food Project features a series of entertaining how-to tutorials, hosted by Bobby Flay, to give us tools and techniques to prepare great-tasting, at-home meals for our families. Just by visiting www.Hellmanns.com, you can access a wide range of recipes, including sandwiches, entrees and side dishes, all designed to please picky palates. There are even chances to win great prizes like a kitchen essentials bundle, Bobby Flay Grill It and Hellmann's® and Best Foods® products by playing the "Wheel of Real" instant win game and entering the Real Food Sweepstakes. What are you waiting for? 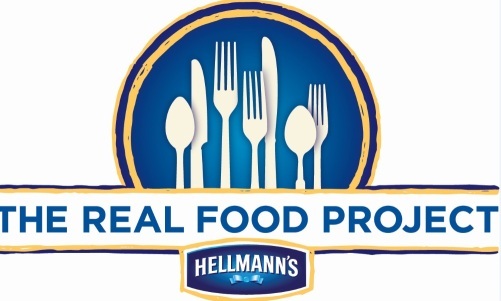 Head over to Hellmanns.com to stock up on tips and great tasting recipes. Disclosure: I was entered for a chance to win a Hellmann's® prize package in exchange for this post. No monetary exchange took place.